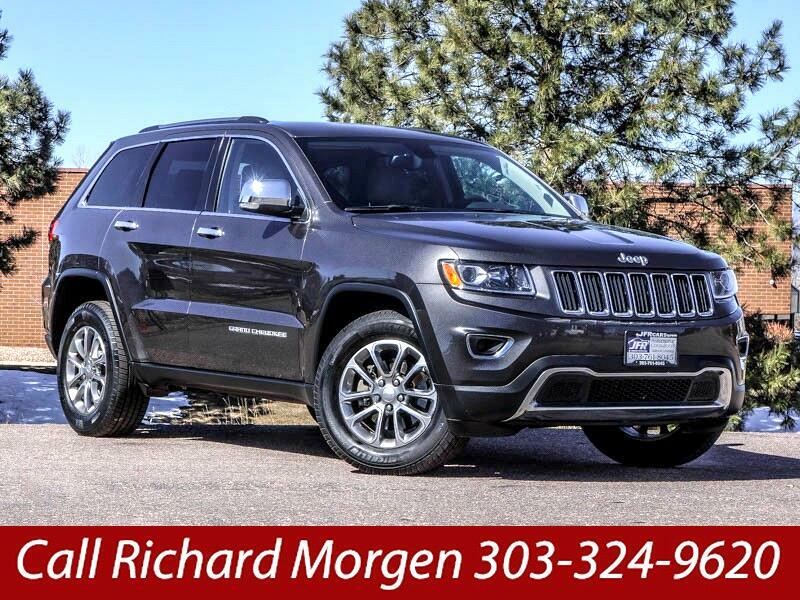 Used 2015 Jeep Grand Cherokee Limited 4WD for Sale in Littleton CO 80120 JFR & Associates, Inc.
You'll enjoy all this Jeep has to offer. You get a vehicle that can handle daily commutes and off-road trails with ease. The comfy well-trimmed cabin provides plenty of room for five. The overall comfort, styling and interior quality of this Grand Cherokee proves its worth time and time again. This Jeep loves outdoor recreation and creating new adventures. This Jeep Grand Cherokee is one of the best picks for a do-everything SUV. The V6 engine is plenty powerful and makes merging in traffic a breeze, quick and easy. Once you take command of this Grand Cherokee, you'll notice the interior boasts an excellent finish that is very appealing. The luxurious ambiance is sure to please you. This Grand Cherokee comes with a wide array of options like leather seats, Satellite Radio, woodgrain, tow package, navigation, keyless entry, MP3 CD player, rear spoiler, power tailgate, heated seats, heated exterior mirror, blind spot monitoring, Bluetooth integration, a backup camera, aux audio jack, plus lots more to make your driving experience more pleasing. You are cordially invited to take this Jeep Grand Cherokee for a spin and discover for yourself how nice this SUV handles and drives. Contact us today and schedule your test drive. Call Richard Morgen at 303-324-9620 if you have any questions or if you would like to schedule an appointment to see this vehicle.